Babies cry. It’s what they do. But they also laugh, scream, giggle and make all sorts of loud noises as they learn to vocalise their needs and discover their voice. 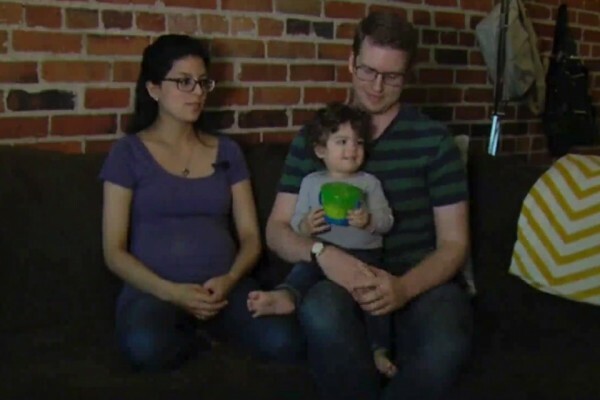 One family in America has received a letter from a neighbour complaining about the excessive noise their little one makes. How would you react if you received this letter at your doorstep? You can’t choose your neighbours. And this is certainly the case for Jessica and Karl Ronnevik who were stunned to receive a rather unsettling letter from a neighbour complaining about the excessive noise of their toddler son. Please consider buying a parenting book or consult with a child care expert. Your baby should not be crying that loudly and for that long. Try more calming techniques, music, turn on a vacuum, rocking chair, go for a walk . . . anything! Also, you might consider switching bedrooms. I have lived in The Mill for 15 years and never had neighbors as loud or disruptive. If you don’t makes changes immediately, you risk being fined by the association. The young family, who live in a condominium complex known as The Mill are expecting their second child. The letter left them so upset that they moved out. The neighbour not only writes that the child needs help from a parenting expert but also lists some calming techniques to self settle the baby. After his suggestions he then threatens to take the couple to the HOA and have the family fined. It is unfortunate when parents are unable to calm their children. After being awakened each morning and each night for the last several months (despite wearing earplugs), I was simply reminding the young couple of this and encouraging them to take the matter more seriously. The note was also a reminder that any excessively loud noise that interferes with the rights of neighbors is subject to possible fines, as indicated in section 4 of the HOA Rules & Regulations. I stand by the note and its contents. I rang the doorbell several times before leaving it. Since no one came to the door, I signed it in case the young couple wanted to discuss the matter in person. They obviously made a different and less mature choice, as they have been doing for months now with their young child. This isn’t the first time shocking note sent to a mother and it certainly won’t be the last. But is this the best way to handle the situation?